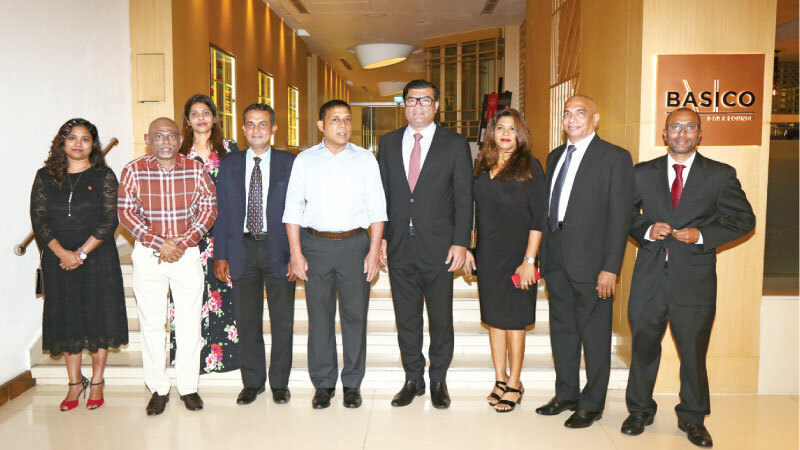 The Sri Lanka – Maldives Business Council of the Ceylon Chamber of Commerce recently, organized a networking event to welcome the new Ambassador of Maldives to Sri Lanka Omar Abdul Razak at the Hilton Residences, Colombo. The Minister of National Planning and Infrastructure in Maldives Mohomed Aslam, other diplomats from the Embassy, high-level Businessmen and members of the Council participated in the function. Ambassador Abdul Razak Omar had presented his credentials to the President of Sri Lanka Maithripala Sirisena on February 01, 2019. Devinda Lorensuhewa, President of the Sri Lanka – Maldives Business Council welcomed the new Ambassador and said, ““Sri Lanka-Maldives Business Council was established in May 2007, as the 19th bilateral Business Council of Ceylon Chamber of Commerce and since then the Council has been operating and executing various projects and initiatives effectively for the betterment of the membership”. “So far, we have organized six trade and investment promotion missions to the Maldives and have participated at Hotel Asia Exhibitions and Maldives Construction Fairs,” he said. Lorensuhewa added that most Sri Lankan delegates concluded successful trade contracts with Maldivian business entities. These delegates were also provided with opportunities to visit a number of Government institutions in the Maldives to discuss issues faced by them.